As technology continues to make leaps and bounds when it comes to ATM security and safety, less savory characters rush to keep up with their criminal efforts. However, recent news has highlighted how the switch to EMV technology is doing more than ever to keep consumers protected, including when using ATM machines. With the growing focus on enhancing security, business owners are likely wondering what they can do to add to shopper consumer safety. Fortunately, there are plenty of strategies banks and merchants can use to ensure their ATMs are kept safe and secure. Your first order of business will be selecting the right model for your premises. For instance, a full function island-style H46N ATM not only offers customers a wide range of services, such as cash dispensing, bill payment and money transfer, it is also a large, self-contained and inherently secure option for drive-up lanes. 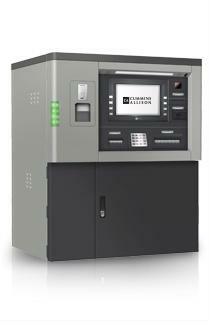 Meanwhile, Cummins Allison's H38 Series full function ATMs can be used for lobby, drive-up or walk-up applications. Like the H46N, these units come hardware-ready for EMV, adding another layer of security for you and your customers. These machines can also upgrade to Windows 7 in the future. Selecting the right type of ATM is essential, but there are other strategies you can use to ensure the security of your device. One of the most straightforward is installing ATMs in strategic locations. These include areas with high visibility from the road, which not only discourages tampering but also makes it easier for consumers to spot your unit. While criminal activity is likely to always be an issue of concern, investment in quality devices and forward planning can go a long way toward keep ATMs and the people that use them safe.